Healthy recipes, restaurant recommendations, hints and tips. I don’t know about you, but I’ve never paid much attention to leek. 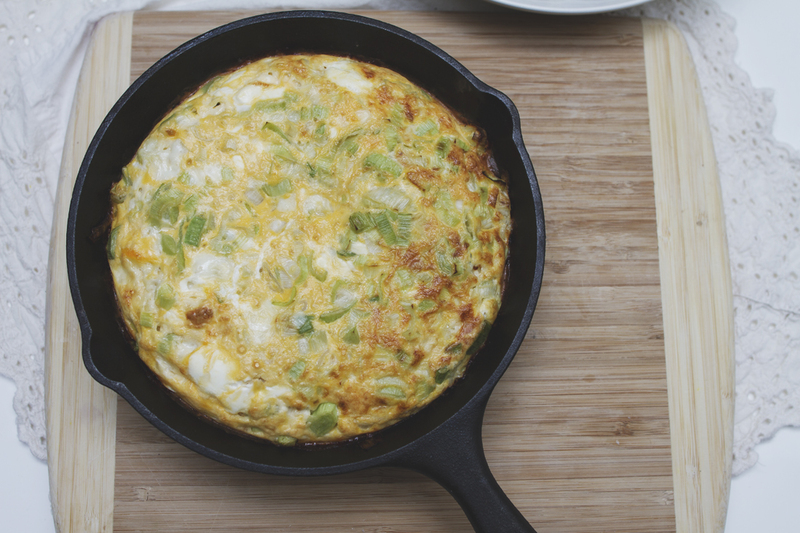 Somehow it is just memorized in my head as an accompanying veggie, like spring onions… So here it goes – let leek take centre stage in this frittata! 1. Heat the oven to 300 degrees celsius. 2. In a cast iron skillet, melt the butter and olive oil over medium heat. 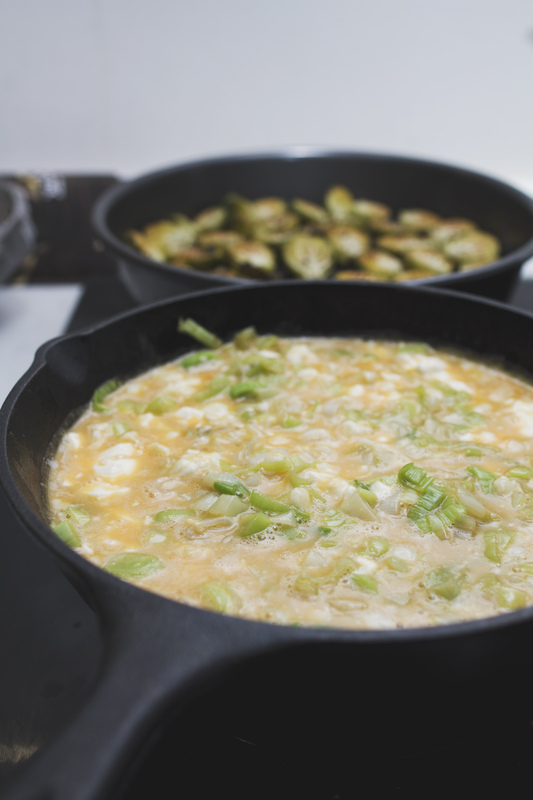 Season with salt and pepper and cook until leeks are tender and glazy. Remove the pan from the heat. 3. In a mixing bowl, whisk together eggs, milk and cheese, season again with salt and pepper. 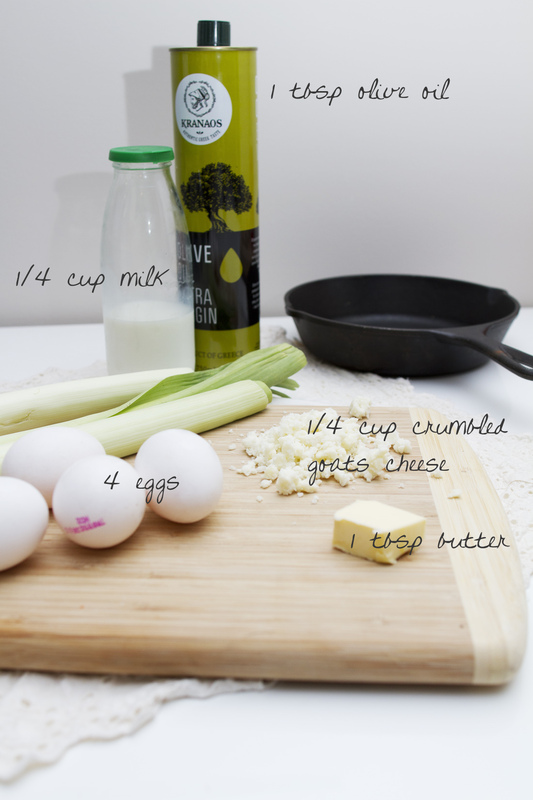 Pour the egg scramble mix over the leeks into the skillet. 4. 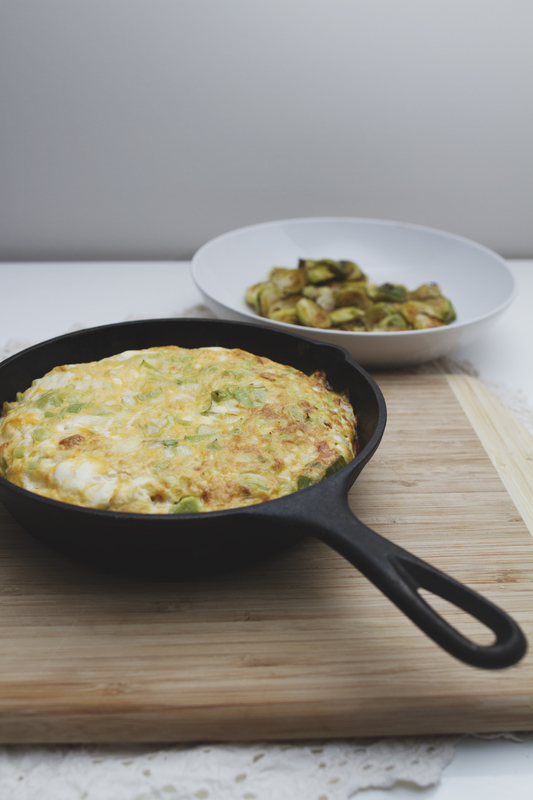 Transfer the skillet into the oven and cook until the frittata is set in the center. This should take about 5-10 minutes. 5. Take out of the oven and cool just a bit before eating. Serve with some salad for a healthy dinner! Posted in VeggiesTagged dinner, eggs, leek, lunch, veggiesBookmark the permalink.